AC Honorary Member Harish Kapadia has just been presented with the Asian Piolets d'Or Lifetime Achievement Award at the celebrations in Seoul, Korea. 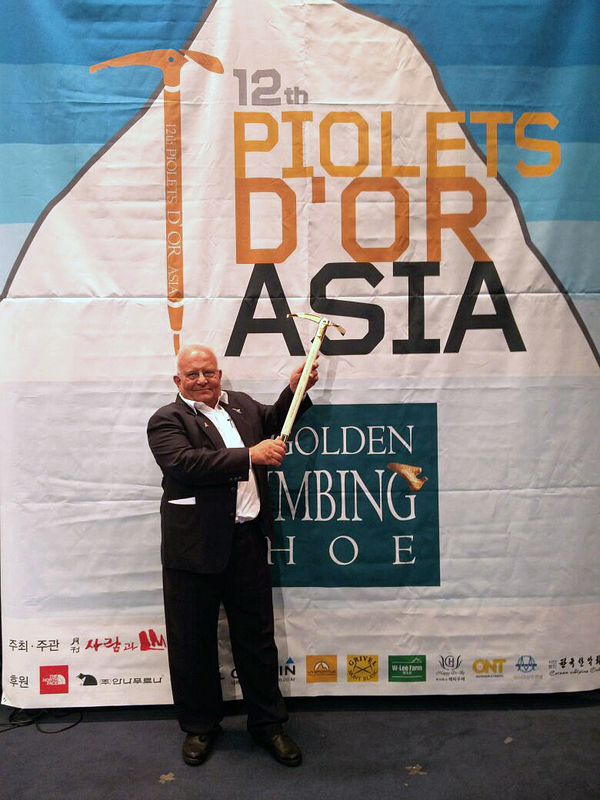 The Piolets d'Or Asia is the official award celebrating remarkable ascents achieved by Asian mountaineers, and is now in its 12th year. Kapadia has received the Lifetime Achievement Award for his enormous contribution to the exploration of the Himalaya, through which he has been climbing and travelling for the last 55 years and written widely on the subject, including 17 books. He is the first Indian to be honoured with this award.